Fitness and health – we all want it! To get fit and healthy, you need to stick with an exercise program and stay motivated for long-term success! Here are 6 fitness tips to stay you stay motivated and effective. Now, get moving! Losing weight and getting fit takes time. If you have a special event and want to lose 25 pounds in 1 month, forget it. It’s not going to happen and you should not expect it to. 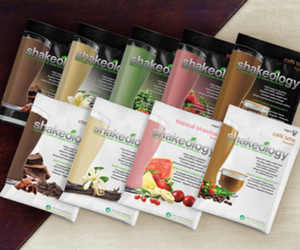 Be smart – losing 1 to 2 pounds a week is the healthy way to go for lasting results. Shedding pounds is often temporary if you just focus on being thin. Instead, learn how to eat healthy and incorporate your new eating habits into your lifestyle. When you start living a healthy lifestyle, you will likely lose weight and start feeling better. Rest is as important as exercise! When you workout, you tear down your muscles. Rest helps you recover from those tough weight workouts! You also recover faster from exercise when you eat proper nutritional foods. If you are just starting out with exercise, don’t overdo it! Ease into your new exercise routine so your muscles have a chance to adapt to your new lifestyle. If you get over-enthusiastic and over-train your muscles, you will get burnt-out and your muscles will be exhausted. Are you committed to your exercise program or just interested? Committed means you stick with it while just interested means you will do it whenever. To reap the benefits of your fitness program you must be disciplined and do it! When you track your health and fitness progress, it helps you see results and keeps you motivated! Weight loss is not the only way to measure your progress, there is so much more! For example, you can take your measurements, write down the weights you use and how many repetitions, or take a new photo of yourself every couple of weeks! 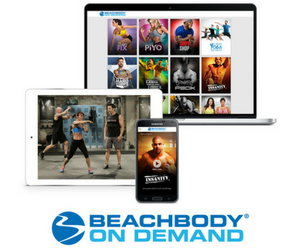 Join Team Beachbody for FREE and get all the fitness tools you need to track your progress and stay motivated!